Our readers often come to us for intel on the more trend-led pieces. You know, to learn about the best affordable designer It bags of 2018, to find out that bananas are the new fashion fruit, and to see how A-listers are dressing right now (this VB layering trick is a good one to copy, by the way). But what if you need to know about the basics—the items that make up the very foundations of every outfit you wear every day? While you might think we're just about the latest must-haves, we also know where to get those classics you'll want to buy over and over. So if you're lacking a quality white tee that doesn't break the bank, we can help. We also know where to shop for the chicest classic trench that won't cost you a month's rent. As for jeans? You've come to the right place. And we have even better news: We've not picked one designer item of clothing, so keep scrolling for the best affordable basics you'll love. 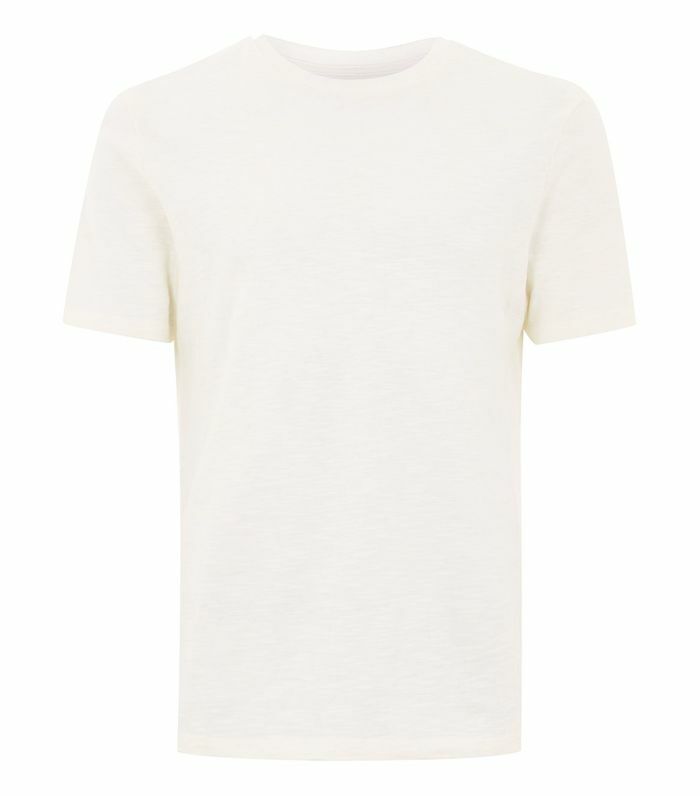 Deputy Editor Emma Spedding swears by the T-shirts at Topman. They have a looser fit but come in a super-soft cotton. & Other Stories always delivers when it comes to shirts and blouses. If you want a fitted version of this shirt, try it one size smaller. Straight-leg jeans are everywhere right now, so if you can manage to shirk your skinnies for a bit, might we suggest this Weekday pair? Hannah Almassi, Who What Wear's editorial director, recommends Arket for simple, well-priced, good-quality knits. You want a trench coat that looks expensive but doesn't cost you your month's rent? Elinor Block, assistant editor, recommends heading to Topshop. Another win from Weekday—this brand has some incredible minimalist basics. Fashion insiders swear by H&M leggings. Try to get a pair in a thicker fabric so you can wear them with heels, sneakers, shirts and dresses. Zara was originally built on the concept of great tailoring, so it's no wonder its coats and jackets are still at the top of the tree. Hannah also recommends Office for great inexpensive leather shoes. Just make sure to check the lining is also leather so that you get the top-quality goods. Okay, this isn't exactly inexpensive, but if you're just going to buy this item one, make it a real investment. The Who What Wear office all voted for Uniqlo's tees and striped tops. Topshop often has such a fantastic range of ankle boots that are as comfortable as they are fashionable. Who says smart trousers have to be black? Opt for high-waisted pair with a pleat at the front in whatever colour you love. Because you'll always need a black dress, and Warehouse's frocks have become a bit of a secret source for us.